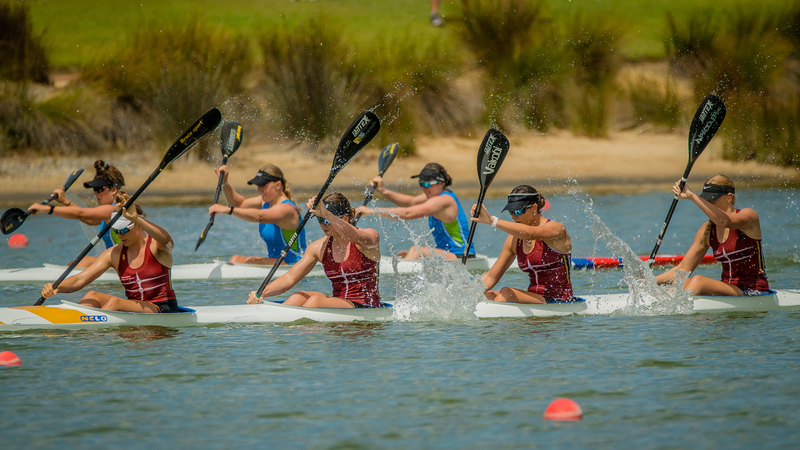 Australia’s Olympic canoe sprint future is looking bright with Paddle Australia’s up and coming talent impressing at the national sprint titles earlier this month (6-10 March). National Championships results determined this year’s national under age representative teams, which were officially announced at the end of last week. 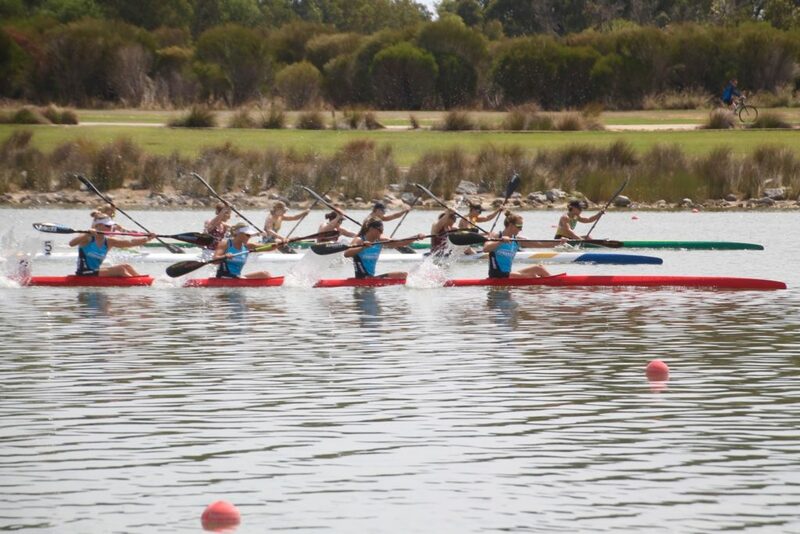 National sprint championships performances decided not only the 2019 Canoe Sprint Junior National Team but also Paddle Australia’s national talent development squads with paddlers securing their chance to represent Australia and gain international competition experience at this year’s Asia Pacific Cup as well as the 2019 Canoe Sprint Olympic Hopes Regatta. 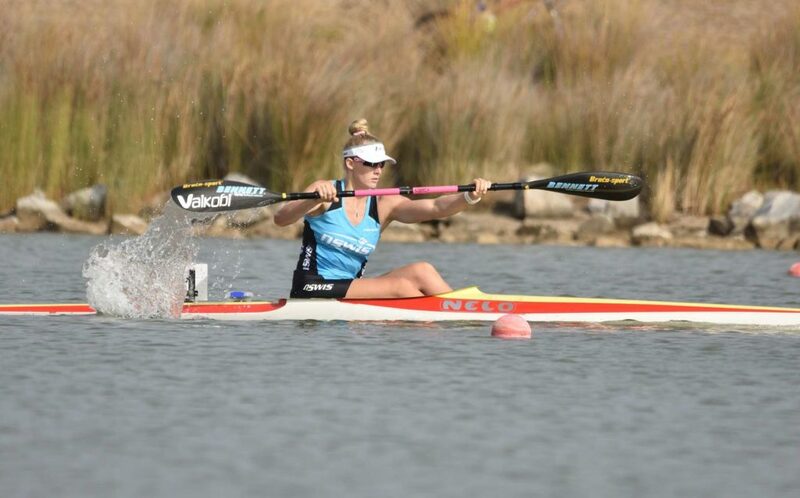 The 2019 Canoe Sprint Junior Team will be contesting the 2019 ICF Canoe Sprint Junior and U23 World Championships in Pitesti, Romania in August (1-4 August 2019), with Kaily Harlen (NSW) one of the stand-out paddlers to be selected on to the team. Harlen not only won all of her five under 18 kayaking events at nationals but also made it through to the open women’s K1 500 A final. 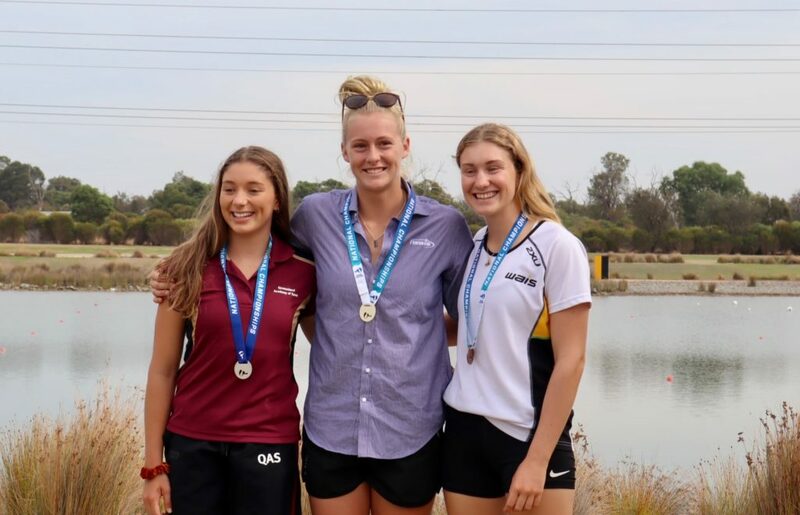 To top off a successful national season, the 17-year old was also part of the winning NSW state women’s K4 together with London Olympian Jo Brigden-Jones and U23 paddlers Ella Beere and Keily Dober. “Just racing with these senior girls has given me kind of an idea where I’m at and my main goal is to go to Junior Worlds and to do as well as I can there. Making the A final would be ideal and hopefully, maybe I can make the podium. 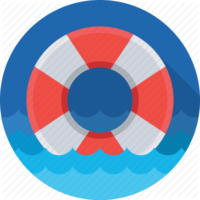 But I got a lot of time to experiment and a lot of things to work on,” Harlen said about the goals ahead. Harlen made waves this national season after consistently performing strongly not only in the Junior but also in the open women’s events. Harlen returns to the Junior Team after finishing sixth in the women’s K1 500 final at the 2018 ICF Canoe Sprint Junior World Championships last year and after only 12 months in the sport. Harlen, a former football player, was also selected on to the U23 team, but will only be able to contest one of the events. 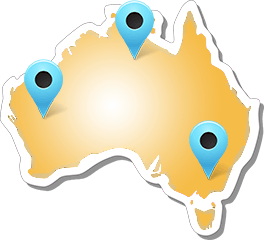 Also returning to the Junior team for a second time are Alicia Fay (QLD) and Yasemin Ray (WA), while it will be the first time on the team for Ashlee Schoene (SA), Caitlin Webber(SA) and Charli Smyth (SA). “We’ve worked really hard to make the team. We missed out last year and I think it made us train so much harder and just have a bigger focus on what we wanted from the sport and we did our best and I’m just so happy and we are be pretty stoked,” Ashlee Schoene said. “Caitlin and I think we might be in the K4 500 and especially in that boat we are striving for the A final. Coaches have given us hope that we are producing times that should get us there so if we do get put into that K4, we’ll just keep working our butts off to get there to race against the best girls in the world, which would be great,” Schoene added about the goals ahead. “It’s really exciting to make the team. We hope to get into the K4 and smash it and hopefully we’ll get to race the K2 as well and if we do a spot in the final would be great. 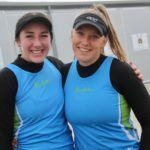 It’s also really exciting to have our West Lakes club mate Charli and her K2 partner Yasemin Ray make the team as well,” Caitlin Webber said following selection. 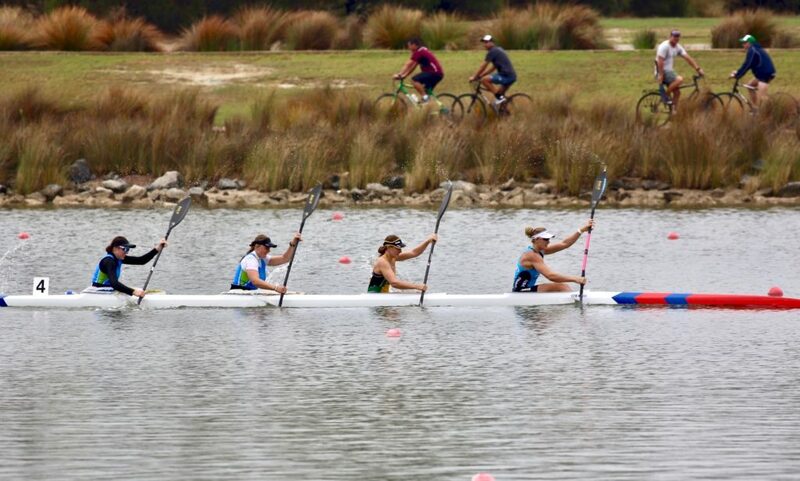 Caitlin Webber and Ashlee Schoene took out the win in the women’s K2 500 18, which secured them automatic selection to the team. The pair also won the women’s K4 500 18 together with Kailey Harlen and Yasemin Ray. In the women’s K2 500 18 Charli Smyth and Yasemin Ray were only +0.89seconds behind, which also qualified them for the Junior Team. Both crews also took out first and second place in the women’s K2 1000. “We came second in the K2 500 but we were within 1.5% to the winning boat time so we made it on to the team as well,” an excited Yasemin Ray explained. “It’s great. We are training together all the time and it’s really special to now maybe race together on the same team. 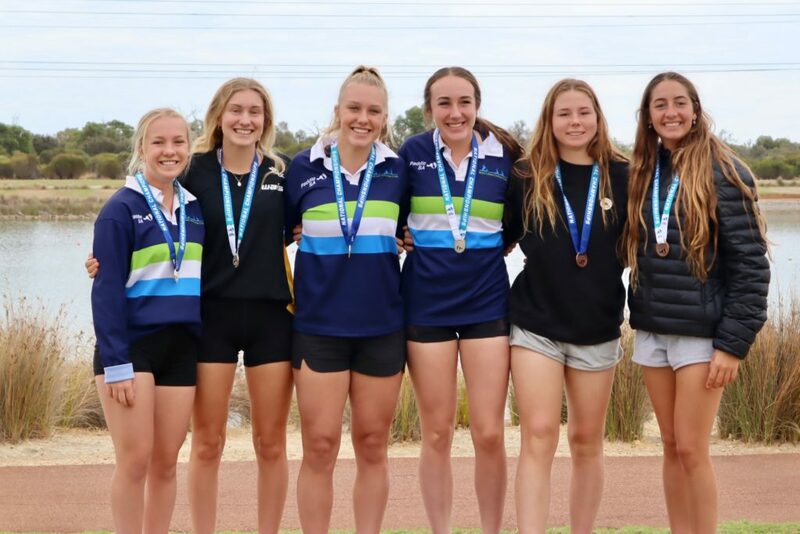 That will be really good and the goal from here will be to get our times down,” Charli Smyth added about three girls from West Lakes Canoe Club making the team. 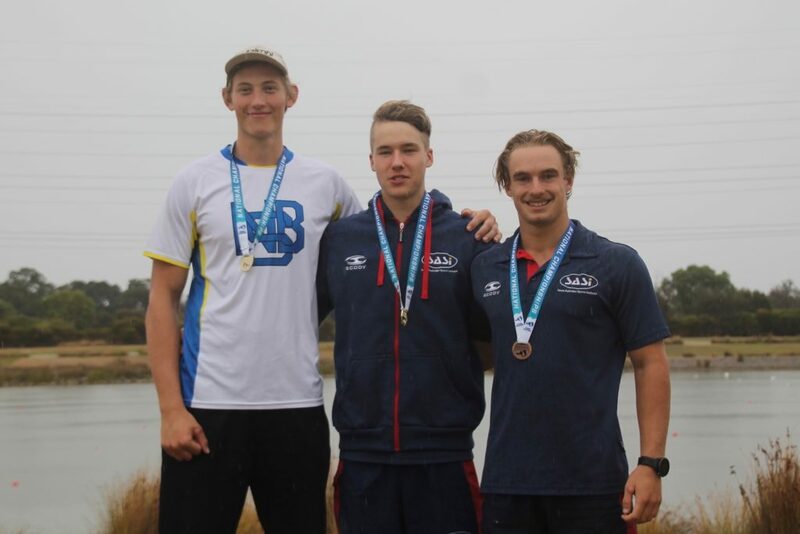 In the men’s under-18 the top two boats in the men’s K1 1000 also automatically secured selection with fellow West Lakes paddler Daniel Kucharski (SA) and New South Wales paddler Tinus Koekemoer securing the national team spots following a dead heat in the final. West Lakes’ Jess Kneebone-Ellis, who was only +0.02 seconds behind in third, will join the two paddlers on the Junior team after also winning the men’s K2 500, 1000 and 200 together with Dan Kucharski. “It was a ridiculous close race at nationals and I’m fully stoked about going through for selections and to get to compete at the World Championships as well as at the Asia Pacific Regatta. It’s been a tough year, so I’m really happy about that the outcome and just happy to be here and make a comeback,” an excited Tinus Koekemoer said. The national team selection follows a challenging year for the 17-year old, who made last year’s team, but in the end was not able to compete. Dan Kucharski and Jesse Kneebone-Ellis competed at last year’s Junior World Championships and after convincing racing at nationals, including setting new PBs, they are looking to build on their performance. “This will be my third time going to Junior Worlds and hopefully we’ll keep on going to break PBs and getting the performances better and better,” Jess Kneebone-Ellis said. “It’s super exciting to get to go overseas again and get some more international racing experience and hopefully improve on our result from last year. We got second in the B final, so 11th overall in the K4 at Juniors last year. Hopefully this year we’ll do a K2 race and hopefully we can get to the A final and just do as good as we can really,” Dan Kucharski said. 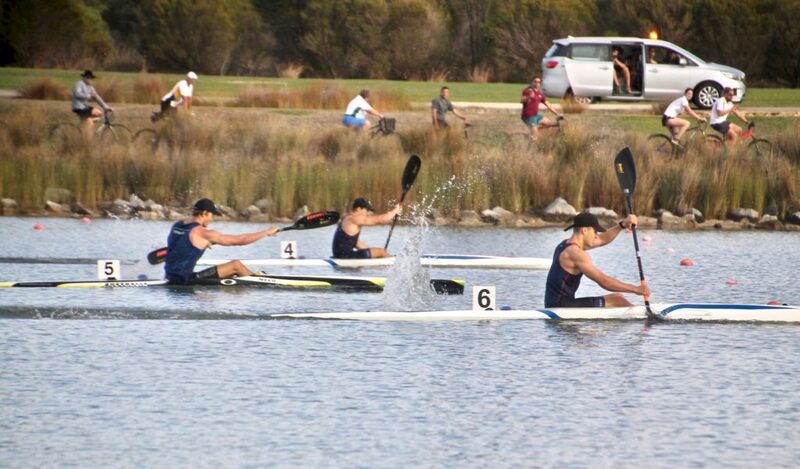 Paddle Australia’s Junior team will head to Europe at the end of July, but before then will have their first international hit-out at the 2019 Asia Pacific Cup event, held at Lake Karapiro in New Zealand from 10-12 May 2019. At the Asia Pacific Cup, the 2019 Junior Team will be joined by a selected group of U21, U18 and U16 paddlers to form the 2019 Canoe Sprint Asia Pacific Sprint Cup Team. The event premiered in Adelaide last year and is part of the Paddle Australia Canoe Sprint pathway program. The Asia Pacific Sprint Cup Team will also include the 2019 Olympic Hopes Team, which is part of the pathway program as well and includes under 16 and under 17 paddlers, who met the respective performance criteria at nationals. The 2019 Canoe Sprint Olympic Hopes Regatta will be held in Bratislava, Slovakia from the 13th to the 15th September 2019. 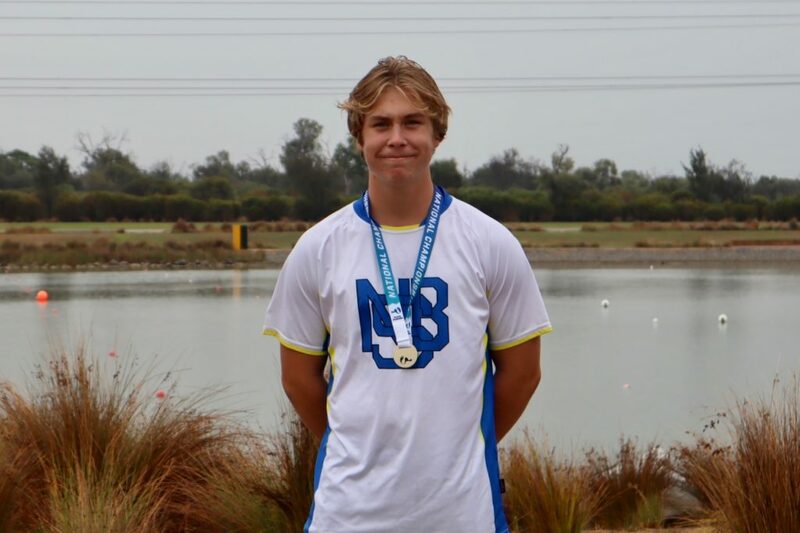 “There is no greater honour to represent your country at an international stage, it’s awesome and there’s no better feeling,” Toby Schooley (NSW) said following his performance at nationals winning all of the K1 16 events and securing selection to contest both the Asia Pacific Cup as well as the 2019 Olympic Hopes Regatta. “I got to race at the Asia Pacific Cup and was also part of the development group going to Europe for three weeks last year and going overseas to compete is a massive step up competition wise. You think Australia has some good competition, but then you go overseas and it’s just a massive step up and it teaches you to race a lot harder.” Schooley, who is aiming to make the Junior World Championships Team next year, said about the opportunities ahead. Toby Schooley will be part of a five-strong U17/16 men’s team that also includes Ashby Allen(NSW/16) and Daniel Hardwick(QLD/16) as well as Luke Egger(WA/17) and Jarrah Sheppard (NSW/17). “I come from surf lifesaving, ski paddling and this my first season in kayaking and I won, so that was alright. I just wanted to make a squad this year and very excited to be going overseas,” Ashby Allen said after winning the men’s K2 1000 16 and qualifying for the Asia Pacific Team. “The goal was to go up the next step and it’s pretty cool to have achieved that. I’ve been doing nationals for a while and to now go internationally is great,” K2 partner Daniel Hardwick added. The excitement about the opportunity to gain international race experience is the same across all teams, with the Asia Pacific Cup as well as the Olympic Hopes Regatta a welcome pathway to international competition. “I’m really excited to go away and race other countries and all that. I’m only first year under 16 so it’s really good to be up there with all the competition. 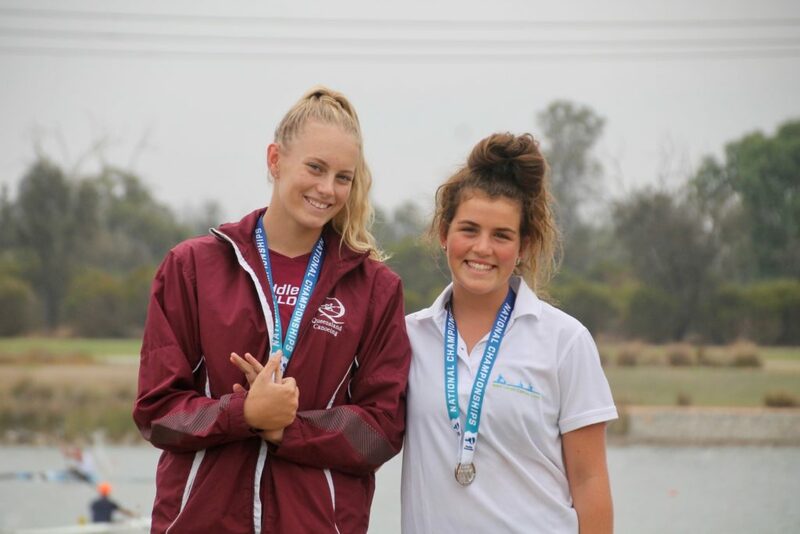 I’ve been watching the Senior girls at nationals and I want to be at their level one day and winning all the titles,” Demi Bates (SA) said, after making her first international team in her first year racing the under-16 events and following her K2 500 16 win together with Chaise Richardson (QLD). “This is my second Australian team and Demise first and it will be a good experience to get a feel on how international competitions are,” Chaise Richardson agreed. Chaise Richardson and Demi Bates as well as Lauren Burchard (SA), Rachel Donnelly (SA) and Isabelle Rupenovic (NSW) are part of the group of five U16 girls to contest the Asia Pacific Cup as well as the Olympic Hopes Regatta. They will be joined by four U17 paddlers, with 2018 Youth Olympics paddlers Jenaya Massie (QLD) as well as Phoebe Wills-Grace (QLD) and Alisa van der Kwartel (NSW) returning to the Olympic Hopes team for the second time, while it will be the first time for Nicci Vesely (NSW). 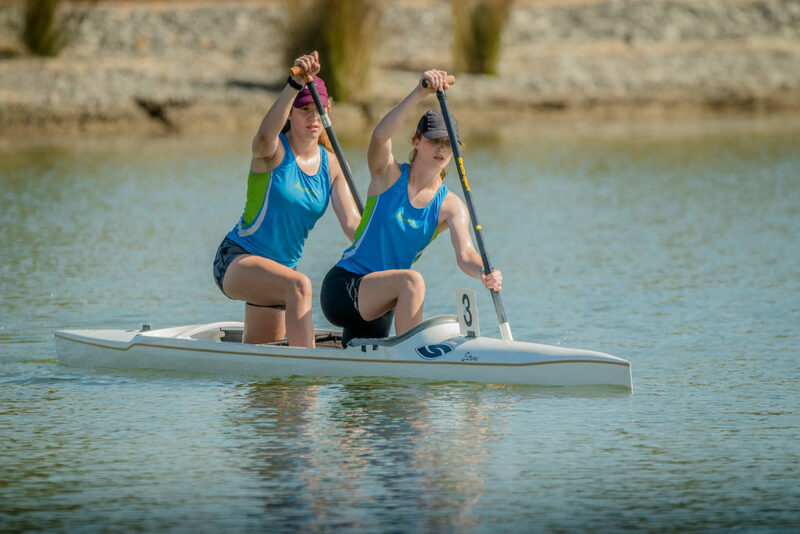 The Junior, Asia Pacific and Olympic Hopes Team announcements follow the 2019 Australian Paracanoe Team as well as the 2019 Canoe Sprint World Cup Squad announcement last week.